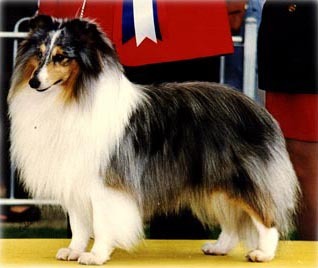 This stunning Blue Merle Sheltie has proven to be a wonderful ambassador of the Breed. 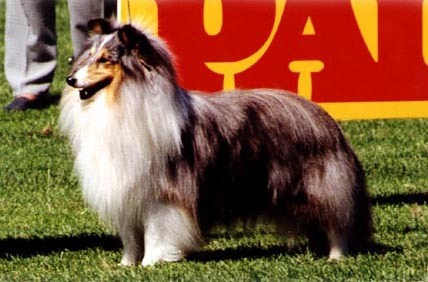 “Seamus”created breed history for the Shetland Sheepdog in Australia by being the first Sheltie ever to win Best Exhibit In Show at a Royal Show,not just once but twice in the same year. The first being the 1998 Sydney Royal Easter Show with over 5000 exhibits under Mr Hans Lehtinen of Finland. 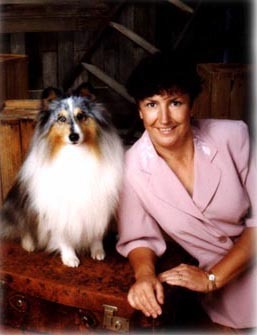 Then, five months later he repeated his performance by going Best Exhibit In Show at the 1998 Adelaide Royal Show, under breed specialist Mrs Gael Morison of South Africa. 5 CC’s and 1 Reserve CC at Breed Specialties.